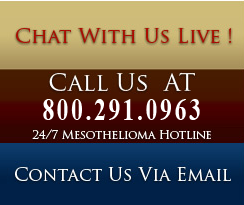 One thing to consider is that early symptoms of mesothelioma can be mis-diagnosed. Part of this reason is that many of the symptoms are similar to pneumonia, including shortness of breath, persistent cough and chest pain. Mesothelioma develops at a slow rate, making it difficult for people to know when they have it. The first symptoms of mesothelioma are often shortness of breath, chest pain, fever, cough, nausea, pain in abdomen, or anemia. All of these symptoms are also caused by less serious illnesses, which makes it difficult to recognize the disease in its early stages. If you have worked with or been exposed to asbestos you should get screened, even if you do not feel sick. Mesothelioma is more treatable when diagnosed early. Patients often experience symptoms for 4-6 months before the diagnosis is made. The most common findings on physical examination (79%) are signs of pleural effusion (eg, dullness to percussion or decreased breath sounds). In the US: Annual incidence of mesothelioma is 7-13 per 1,000,000 male patients with a history of asbestos exposure. Approximately 1 in 1,000,000 North American patients with no asbestos exposure present with mesothelioma per year. The incidence of mesothelioma is lower in women than in men, probably because fewer women than men worked outside the home in the mid-20th century; therefore, they were exposed less to asbestos. The incidence of mesothelioma is highest in the Pacific and mid-Atlantic states and may be related to the location of industries such as shipyards. Internationally: The incidence of mesothelioma in women is 2/1,000,000/year and in men is 10-30/1,000,000/year in industrialized countries where asbestos was used widely. The incidence of mesothelioma varies greatly among nations and is difficult to document in countries without mesothelioma registries. In France, an estimated 950 new patients are seen per year. In the United Kingdom (where a mesothelioma registry exists), incidence is expected to peak in the year 2020 at 2700 deaths per year and is expected to decline rapidly thereafter. Malignant mesothelioma usually is fatal. Death usually occurs within 18 months of first onset of symptoms. Mesothelioma usually presents 30-40 years after asbestos exposure. Dyspnea is defined as abnormal or uncomfortable breathing in the context of what is normal for a person according to his or her level of fitness and exertional threshold for breathlessness. Unfortunately, the early mesothelioma symptoms are often ignored or mistaken for minor ailments because they are not specific to the disease. Therefore, it is critical to investigate one's exposure to asbestos. While pain in the lower back or at the side of the chest, shortness of breath, trouble swallowing, cough, fever, sweating, fatigue and weight loss may be common to many minor ailments, it is the knowledge that these mesothelioma symptoms are present in a person with a high likelihood of asbestos exposure that should raise a red flag.